Anatomy as in “the study of the structure or internal workings of something”. 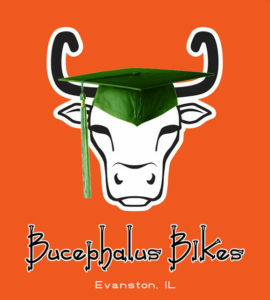 The Bicycle Anatomy class at Bucephalus Bikes explains our bikes’ systems and how they function. During the 90-minute class, we will discuss in detail the structure and components of this truly amazing invention, revealing how these parts are designed to work safely and smoothly. We’ll present information on basic bicycle maintenance and care as well as how to diagnose common mechanical issues. In addition, we’ll demonstrate how to repair a flat tire. There will be plenty of opportunity to get your questions answered and snacks will be provided.